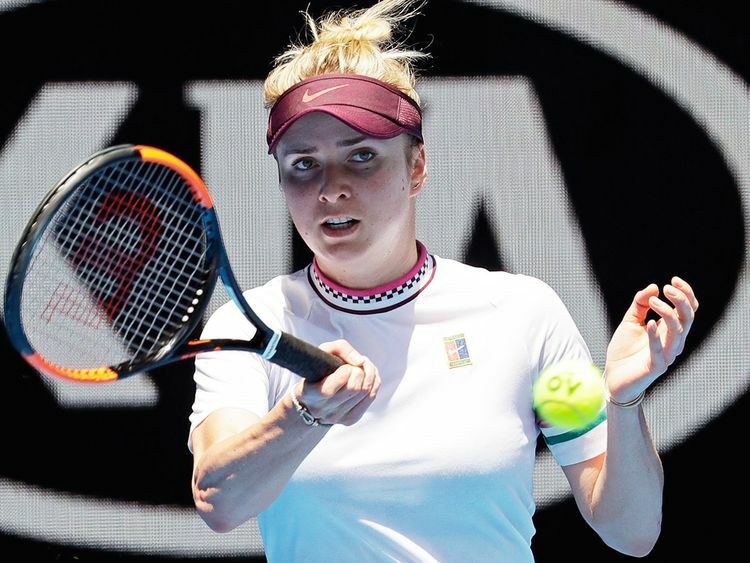 Dubai: Elina Svitolina, a two-time winner of the Dubai Duty Free Tennis Championship, will bid for an unprecedented third straight title when the action gets under way on February 17. No woman player at the tournament has ever claimed three consecutive crowns. Justine Henin, who at one time coached Svitolina, won it four times in five years between 2003 and 2007, with Lindsay Davenport taking the title in 2005. Venus Williams won the title in 2009 and 2010 and now Svitolina will bid to seal her place in the elite club. After beating world No. 2 Angelique Kerber in the semi-finals and then former champion Caroline Wozniacki to win the title in 2017, Svitolina was under added pressure as she sought to defend her title in 2018. She beat Kerber again in the semi-finals to set herself up for a clash with Daria Kasatkina, who had performed heroically by defeating not only former winner Agnieszka Radwanska and two-time Grand Slam semi-finalist Johanna Konta but also world No. 3 Garbine Muguruza. A few weeks after her second Dubai triumph, she added the Rome trophy to her shelf, not only beating Kasatkina and Kerber again but world No. 1 Simona Halep in the final. In addition to that success, she reached a semi-final in Montreal and four quarter-finals before ending her season on the highest possible note by lifting the trophy at the WTA Finals in Singapore. It is easy, despite the seemingly glamorous and luxurious lifestyle, to suffer mental as well as physical fatigue during the long season, but Svitolina has found a way to combat that. “Her victory last year proved to be a springboard for a great season and to end such a busy year by claiming one of the biggest titles the sport has to offer was a magnificent achievement,” said Tournament Director Salah Tahlak.